PCS-Electronics :: View topic - UHF Connector PL-239 / How to connect it to the pallet amp? 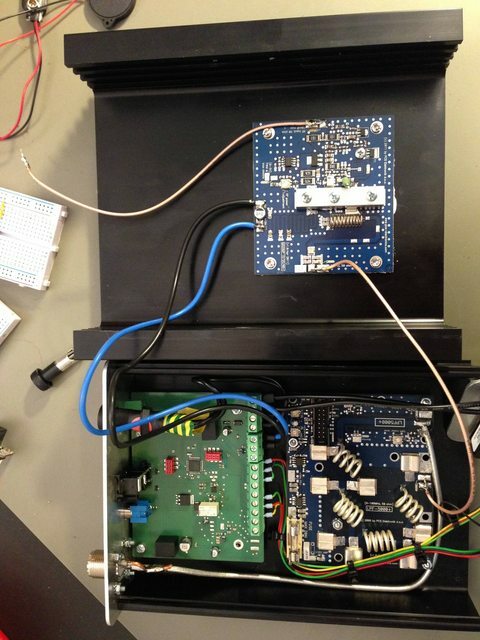 a while ago I built a low power fm transmitter with a microcontroller controlled fm exciter. That feeds into a PCS 25W pallet amp and a filter. The connection from the Exciter to the AMP is really really "hacky". 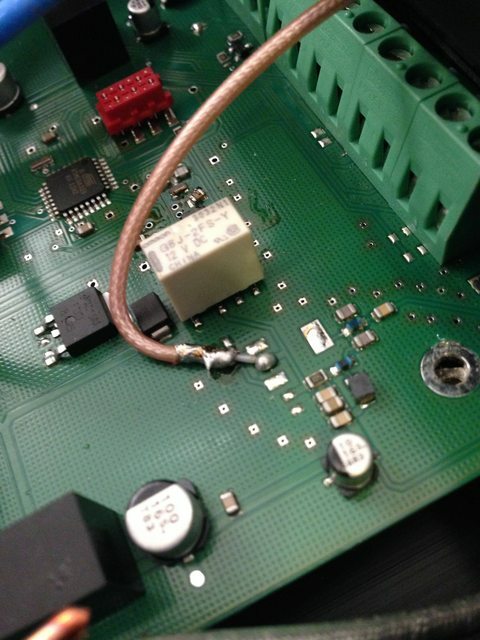 I thought about placing a SMA or U.FL connector on the PCB and an SMA connector on the AMP. Then connect both with a prefabricated cable. Do you think this is a good idea, or would I loose too much dB? (Given the fact, that I would layout proper solder pads on the next PCB. 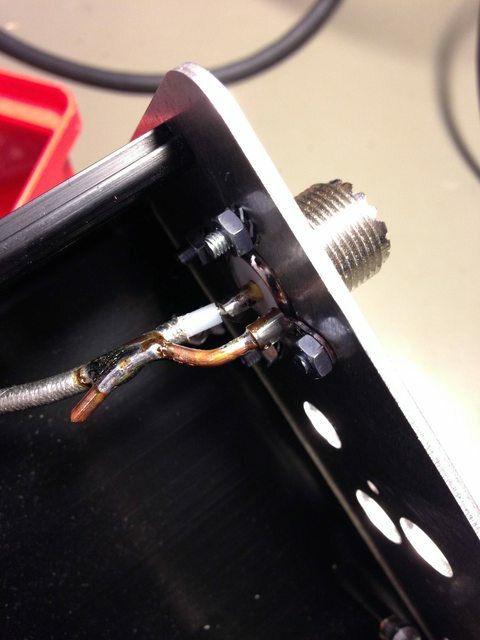 2) Connection between Filter and PL-239 case socket. I used a thicker cable that is (I think) silver coated, can't remember the exact product name. 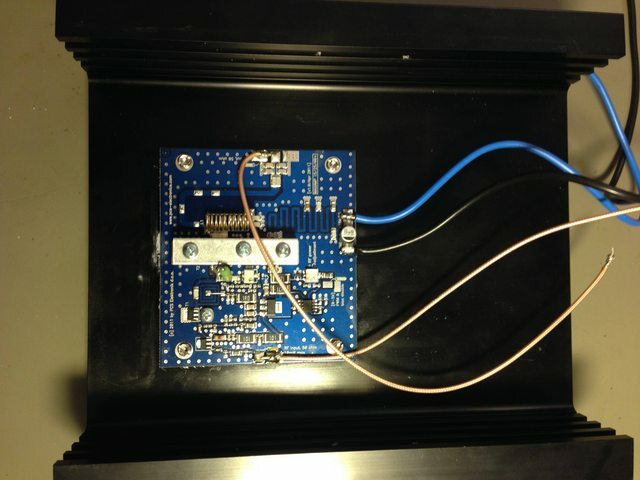 It's working fine – could measure about 20W output with a cheap SWR-Power-Meter. Now I want to build another one and do it better this time. Hope you guys can give me some tipps where to improve. 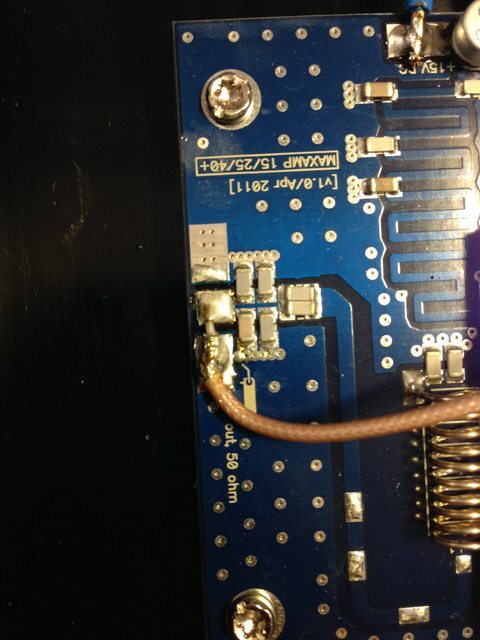 You did good with this connector, however you could add more ground leads from other screws to reduce ground terminal inductivity. Now this connector brings ground all around your coax so connection is really perfect.